The Lace shear is just so totally awesome. The Pink Lace shear will allow you to create a hairstyle you will be proud of. 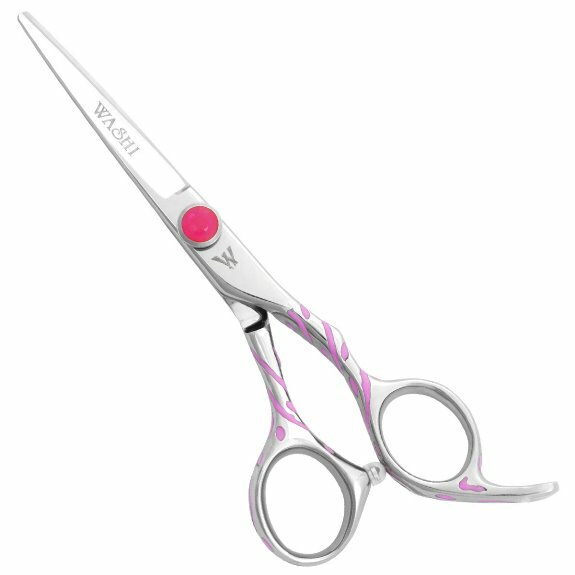 This forged shear was created by our master scissor makers using high quality Japanese steel. Over a year in the making. Superior edgework will cut through hair with ease. The Lace handle is designed for extreme comfort featuring an ergonomic thumb that will fit any hand.